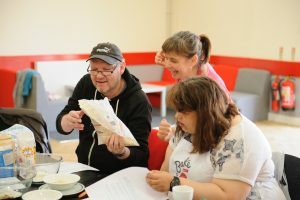 It’s Social Saturday, a day for promoting Social Enterprises so I thought I’d tell you all about my new Social Enterprise, Season Well. 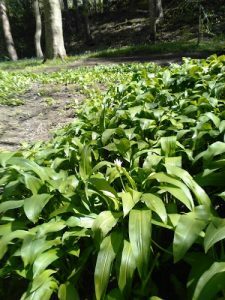 Our aim is to inspire and enable people to use more local, seasonal food to create great tasting healthy meals and preserve our planet and soil. I am a self taught baker who believes strongly in using fresh, local, seasonal produce in my baking. I became a food grower in my search for great produce to bake with. 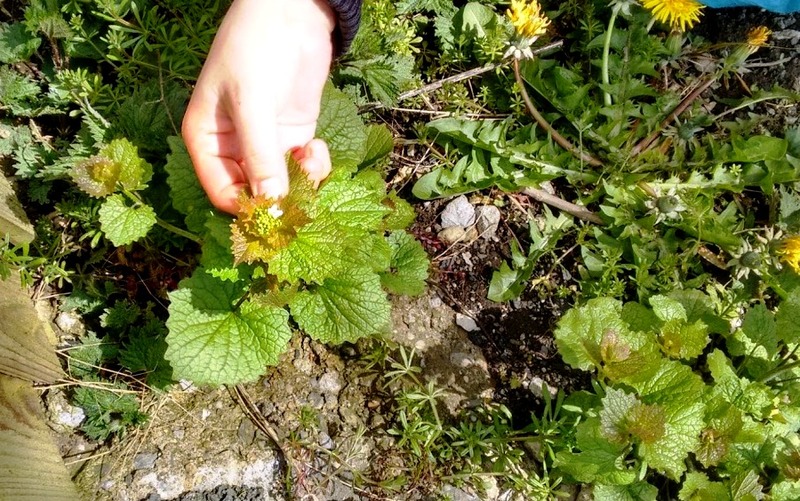 I set up a small community project growing food on unused land- Incredible Edible Aireborough– and my passion for making a difference and changing the world came back. It’s critical that we look after our environment. It seems a no brainer that if we can do this whilst eating the best tasting food (everything tastes better when it’s in season) then we should do this. However what used to be such a fundamental skill- growing and cooking food – has become lost in our society. I want to bring those skills back to improve our health well being and the environment . 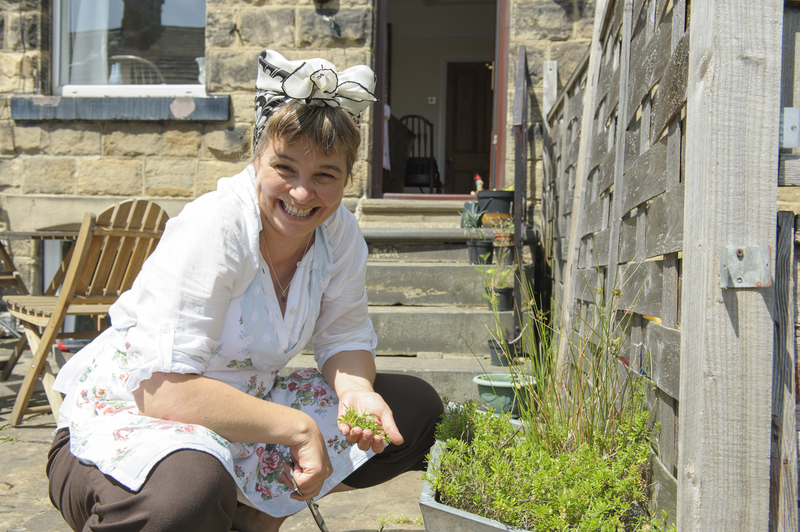 I believe that everyone can cook and grow their own food and I want to inspire people to have a go. Please head over to our Facebook page to keep up with Season Well as it develops. I’ll be posting up there any workshops we have coming up and how to get involved. 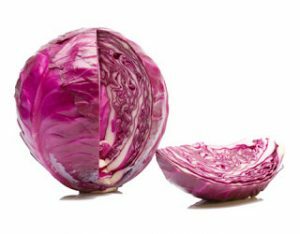 Soon we’ll have a new website with seasonal recipes and growing tips so we can inspire you to eat more seasonally for flavour, health and sustainability. 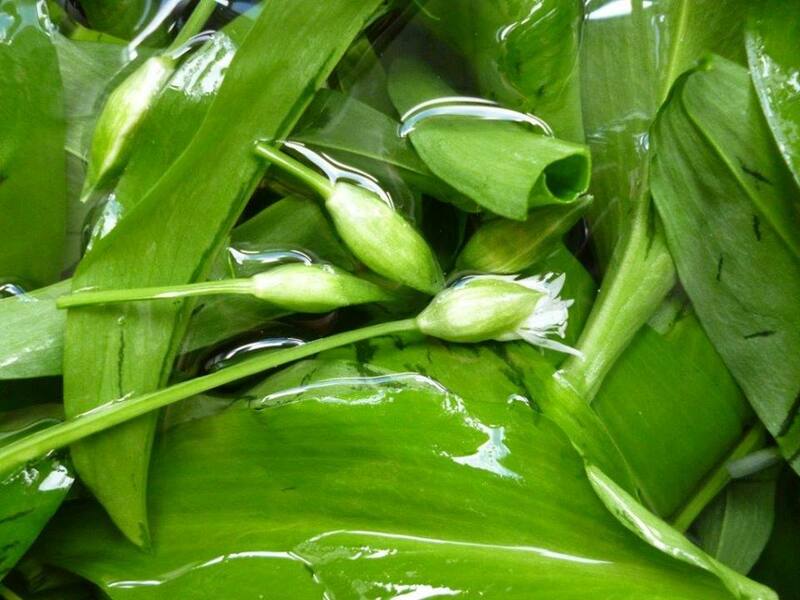 Spring is finally here and for us that means wild greens like wild garlic, garlic mustard, dandelion leaves, nettles and many more. If, like us, you are trying to eat and bake with the seasons then you breathe a sigh of relief when the “hungry months” of Jan and Feb are over and fresh, local produce is available again. The arrival of beautiful pink forced rhubarb in the shops (and a bit later on our allotment) is our first joy. 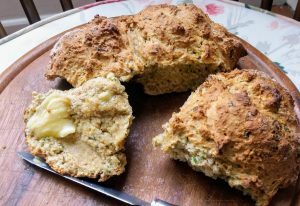 This year Travelling Tea Lady Becky has experimented with making wild garlic pesto soda bread and it’s delicious. 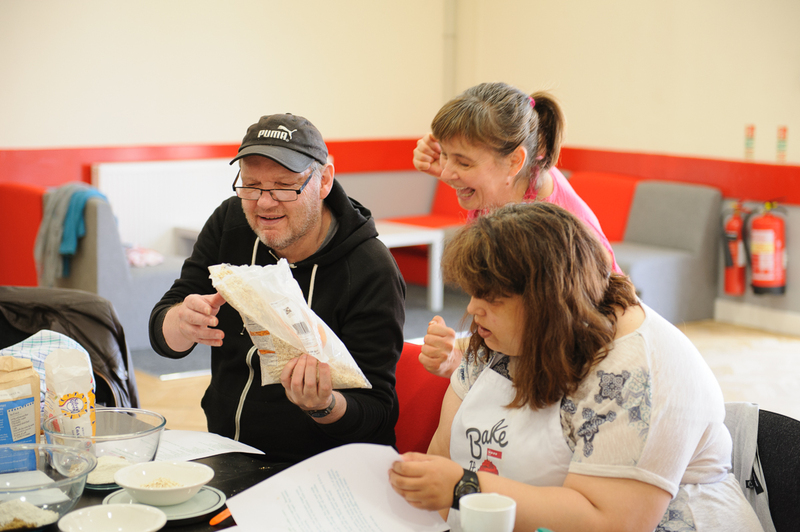 Becky is setting up a new social enterprise called Season Well to work alongside the Travelling Tea Ladies. 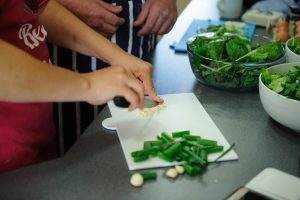 It’s aim is to get more people cooking and eating seasonal produce and even growing some of their own fruit , herbs and vegetables. You can find more about it on her website and Facebook page. 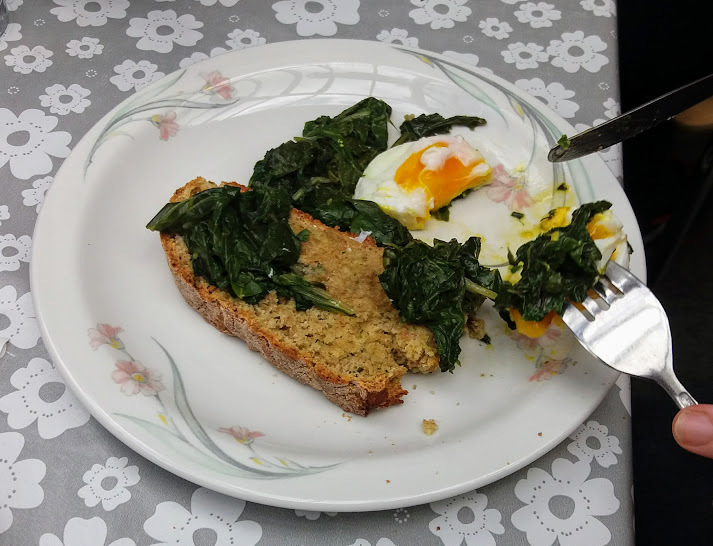 She runs seasonal cooking lessons and last week her class made wild garlic pesto soda bread with wilted spinach and local duck eggs- yummy. Oh and if you want to go down to the woods and pick your own wild garlic check out our Facebook page for a quick guide. 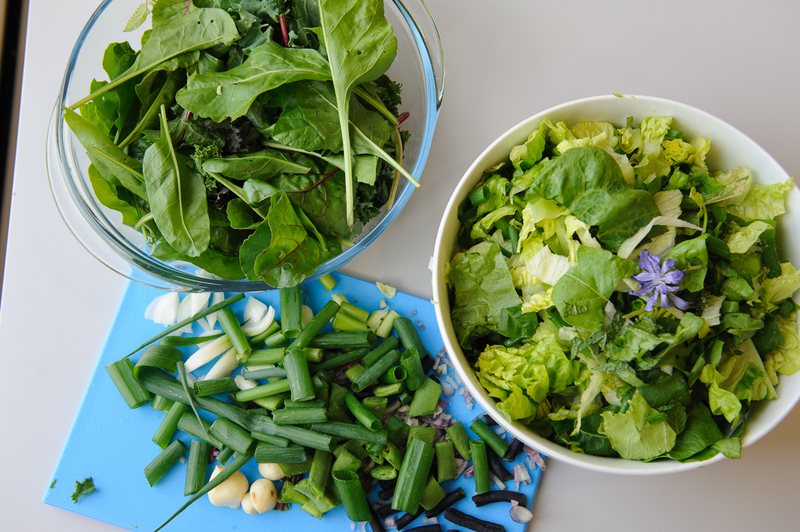 What’s your favourite way to eat wild greens? Getting Married? 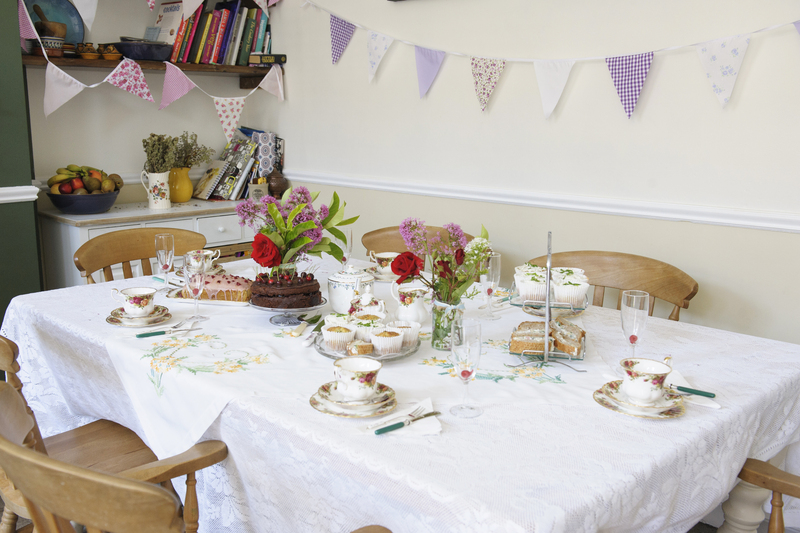 How about a Hen Tea Party to celebrate with your favourite ladies. 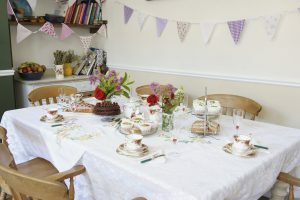 We’ll bring gorgeous cakes, beautiful vintage crockery and a variety of teas to a venue of your choice. It could be your own home a hired cottage for the weekend or just a venue you love. 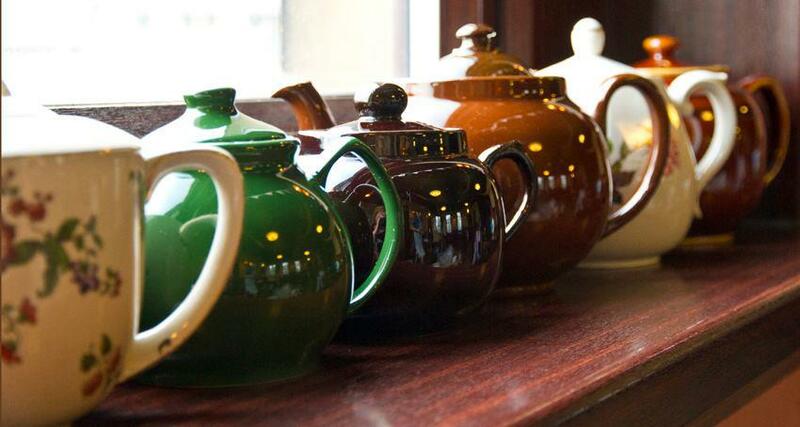 You can relax and gossip with your friends and family whilst we serve you. Great for a non-boozy hen do. New for 2018 we are now offering Cocktail Tea Parties. We offer a bespoke service and will create an afternoon tea menu that’s perfect for you and your guests. Just give us a call or drop us a line to let us know about you and your Hen Do and we’ll send you a personalised quote. Our desire to get the freshest ingredients lead to me getting more involved in growing our own produce and working with other people growing food. I’m now are working with a few organisations to help them get growing and cooking with their own produce. I teach cooking at Orb Community Arts Knaresborough and Harrogate Skills 4 Living Centre . 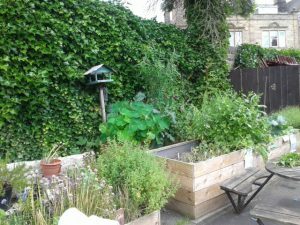 I’ve also helped set up a community growing project in Guiseley Incredible Edible Aireborough and I have an allotment now too. Red currants seem to be the trickiest fruit to get people using as there’s really only so much redcurrant jelly & summer pudding you can make! 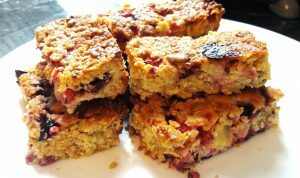 I was really excited to come across a recipe by Nirvana Cakery for Redcurrant Quinoa bars. I adapted it a bit to make it more tempting and came up with this recipe for Red Currant Almond Crumble Bars. I’m sharing it here so you can have a go. It can be made with chopped plums instead if, like me, you’ve got those on your garden too. Get Seasonal with your baking, cooking and eating! According to the media we have a vegetable crisis in the UK so it seems a good time to get seasonal with your baking, cooking and eating. So we’ve got shortages of courgettes, broccoli and iceberg lettuces in British supermarkets because of bad weather in the mediterranean? Then I thought: this is a good time to be talking to people about eating with the seasons. I suggest menus to my customers based on what’s in season . 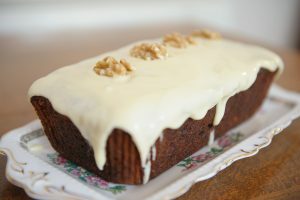 I talk about seasonal baking on our website and give some examples of what we bake in spring, summer, autumn and winter. 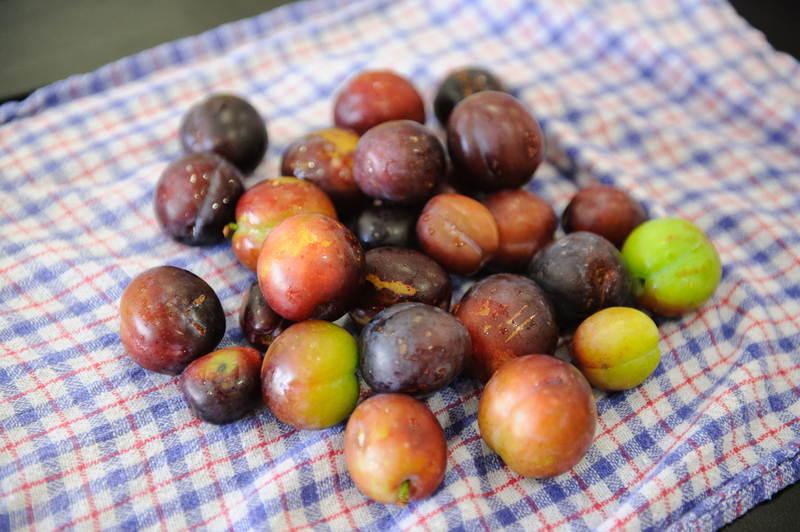 Ok winter is a bit tricky for fruit but it’s the time to be using preserved fruits or stored fruits. 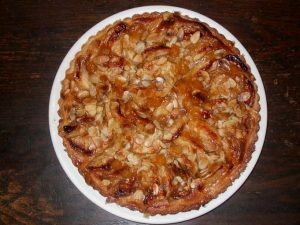 We are still baking with apples picked in autumn and stored in our cellar. 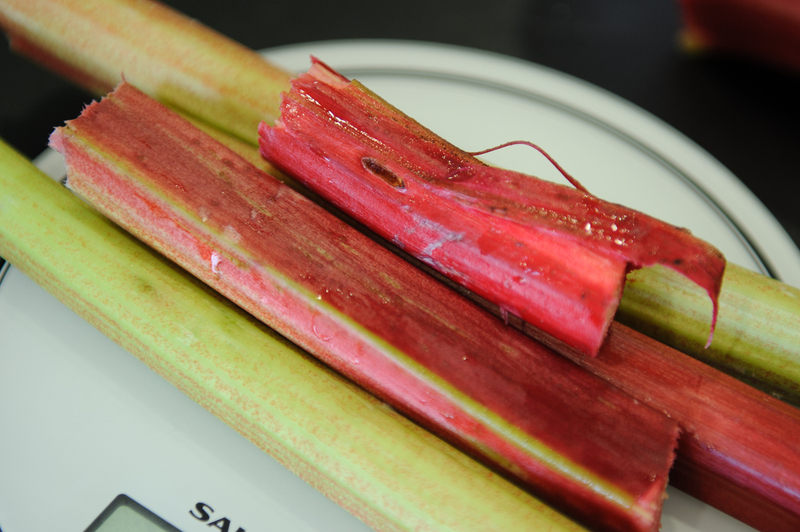 Now I’m getting excited about the rhubarb showing it’s pink shoots on our allotment. So back to that veg crisis… there isn’t one if you are eating what is growing around you. A great resource to find out what’s in season now is the fabulous What to Eat Now calendar on the Eat Seasonably website. There are so many ways to find good, local, seasonal produce : shop at your local market and ask where their veg comes from; shop at your local farm shop or farmer’s market; find a community garden or even grow your own. 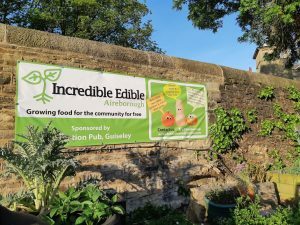 I’ve only got a small garden so after attending an inspiring talk in our local pub by Dr Lindsay Smales from Incredible Edible Todmorden I was inspired to start Incredible Edible Aireborough. As well as giving me more growing space I want to inspire my local community to eat veg when it’s in season and to increase people’s access to local produce. We are a small group of volunteers who grow fresh fruit and vegetables for our local community for FREE using bits of land going spare. The Station Pub in Guiseley were kind enough to build us some veg beds in their grounds. We also grow herbs in a couple of beds around the town and fruit bushes in a local park. I have teamed up with a neighbour to grow on her allotment too. You may have a community garden near you where you can go pick fresh veg, herbs and fruit for free or get involved in growing. You don’t need to be an expert either as you learn from others like I’m doing. I will aim to post a monthly blog post with inspiration and recipes for using what’s in season. Who needs tasteless iceberg lettuce anyway! 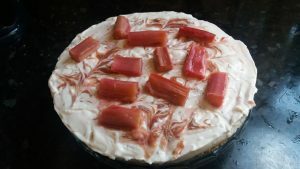 Please do comment with your favourite seasonal recipes and follow my blog and facebook page for more seasonal recipes. I’ve just started doing some teaching and food inspiring at the Incredible Aquagarden in Todmorden so I’ll soon be posting some seasonal recipes on their website too. There’s a whole lat more that can be grown organically in this country using aquaponics but that’s another topic! Happy New Year! it’s the 3rd January so time to start your New Years Resolutions. Mine include ones to improve my cooking and baking skills do yours? 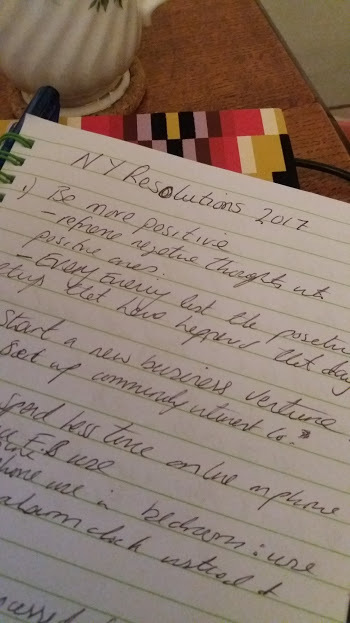 I’ve been writing resolutions each year for a few years now. Nothing too taxing, just things I want to achieve or do in the year. I make sure they include as much fun stuff as self improvement. I got into the habit with a friend of mine and we often write joint resolutions. One of our joint ones for 2016 was to make a steamed sponge pudding as neither of us ever had. I wrote my resolutions on my phone then lost them when I changed my phone in February! 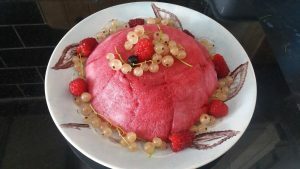 I forgot about the sponge pudding resolution until on holiday with the same friend this Christmas. I was determined the pudding would get made and so it did….. on New Years Eve. 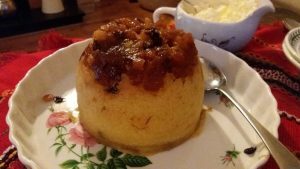 It was a delicious quince pudding using up the quincemeat I made in December and the last of the quinces I’d bought and served with whipped cream laced with quince vodka. Make my own flatbread. I’ve only really dipped my toe into bread a few times as it takes sooo long ( well without a bread machine and especially when the last bread I made was a sourdough!). I thought I’d try flatbread as a quick way to get into bread. Luckily I’ve a lovely cookbook, Vegiestan by Sally Butcher, with a chapter on flatbreads which is a good start. Eat less processed food. In fact my husband and I have challenged ourselves to eat no processed food this January which may be a bit of a tall order. We’re currently trying to define what we mean by “processed”. He’s going with “nothing made in a factory” which cuts out an awful lot. ( I mean flour is made in a factory isn’t it?) I’m going with ” food made from ingredients not food with a list of ingredients”. Whose definition do you prefer? You can book now onto my child & family baking class on 14th February. Then I have a baking with nature class in June combining foraging for wild ingredients with baking & cordial making. 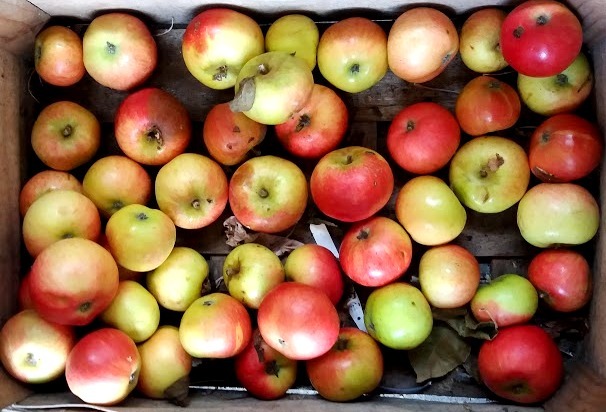 Next up is an apple preserving class in the Autumn where we’ll be making apple juice, cider and chutney. If you want to hear more about my baking classes please fill in our contact form to be added to my mailing list for news and offers. 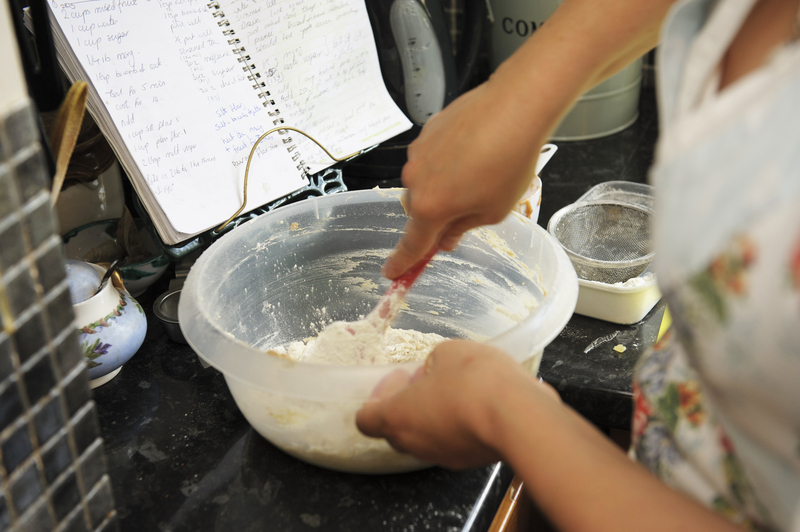 Don’t forget to comment with your baking & cooking resolutions or tell me why you don’t make any. Good luck with all your resolutions and have a great start to 2017. It’s beginning to smell a lot like Christmas at Tea Lady Towers (well terrace really) as my Christmas baking gets underway. I love Christmas baking. Love all the spices and dried fruit and of course the traditions. 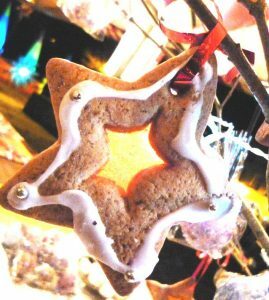 I’ve got my own tradition now of baking Christmas biscuits to decorate my tree. I usually make these and home made sweets as gifts for my family. 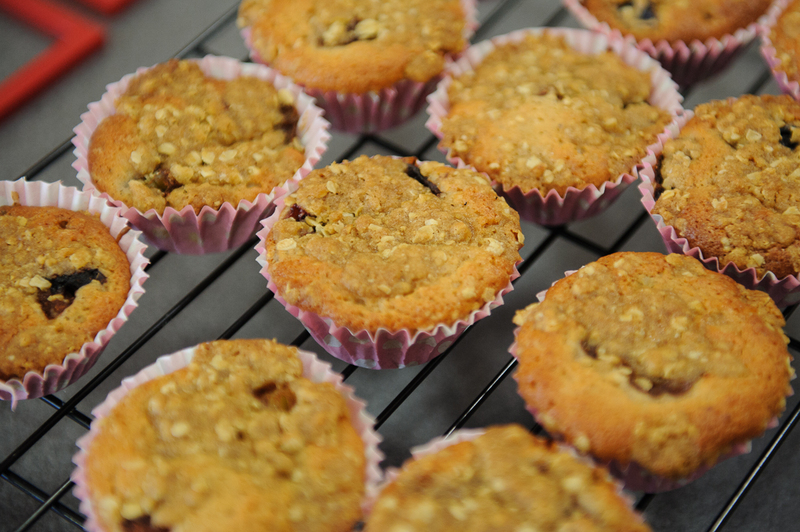 I do like a mince pie too and this year I’ve been experimental with my mincemeats. 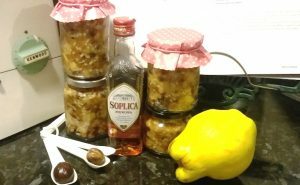 I’ve made quince meat with roasted quince taking the place of the more traditional apple and some gorgeous Polish quince vodka in place of brandy. 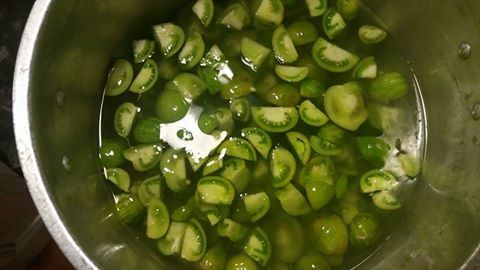 If you think that’s unusual then you’ll be amazed by …….wait for it…………..Green Tomato Mincemeat!! I was musing on Facebook about what to do with the large amount of green tomatoes we’d harvested from the local community garden where I volunteer (Incredible Edible Aireborough). Local gardening business, Leaf Cutters, suggested mincemeat and even supplied me with a recipe from an old apple cook book they have. It’s so easy to share recipes now we all have smartphones. Just 1 or 2 photos; a Whatsap message and away you go! Well I do love a challenge so of course I made t he mincemeat. I even filmed myself doing so on Facebook Live! It’s an alcohol free recipe, made with cider vinegar, so good for anyone who is opposed to alcohol. And , guess what…..It’s delicious!! It’s simmered for 2 hours so the green tomatoes cook down to a toffee like consistency. I tested both out on the good folk of Guiseley last weekend. I had a tea & cake stall at our local Christmas market and everyone who was adventurous enough to try them was amazed. Yes we did have more traditional mince pies too! 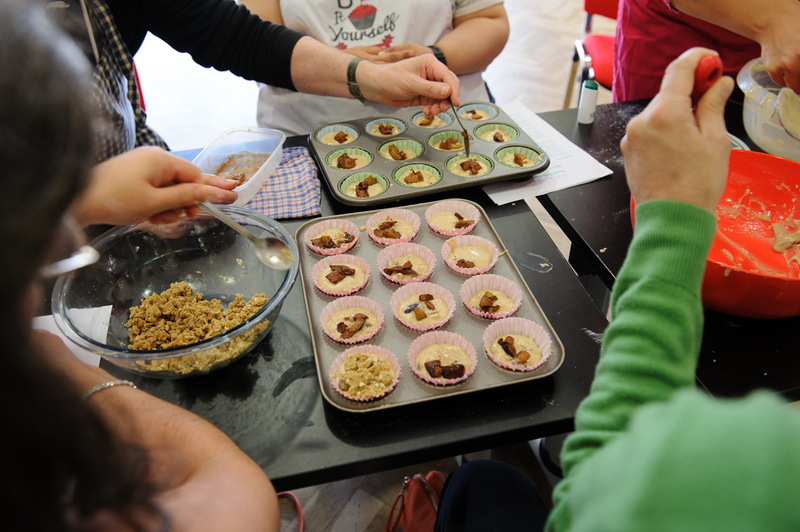 I’m teaching my first Christmas Baking Class this year at Get Cooking! Leeds on Saturday 3rd December. I shall be teaching people how to make a last minute Christmas cake using mincemeat. It’s based on a Delia Smith recipe but I’m using a Mary Berry mincemeat recipe as it’s a lot quicker than Deila’s. Of course I put my own twist on both recipes. 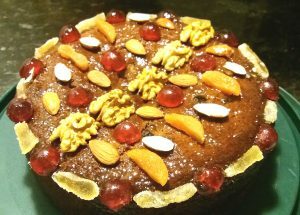 For those of us who have missed out on Stir-up Sunday this really does make a very nice, moist and quick Christmas cake. I will of course be showing people how to make mince pies and they get to taste all 3 mincemeats and see which they like the best. So what are you baking for Christmas? Do you have any favourite or unusual recipes you’d like to share? 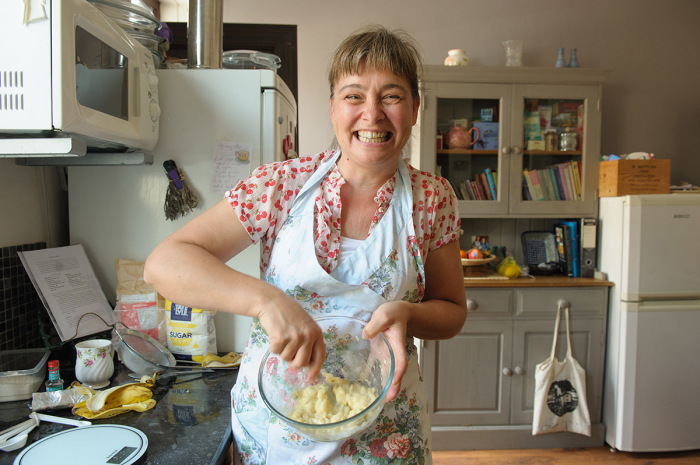 I’m really proud and excited to be the first contributor to the talented Sally Robinson’s Democratic Cookbook. 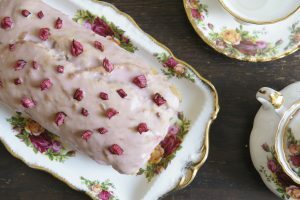 I share my story of when I first fell in love with baking. 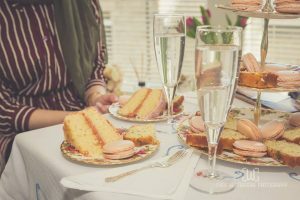 From Banana Bread to Macarons shows my baking journey from first realising I could bake well to mastering the tricky French Patisserie delight of a macaron. The idea behind the ( currently online) cookbook is that cooking is for everyone. 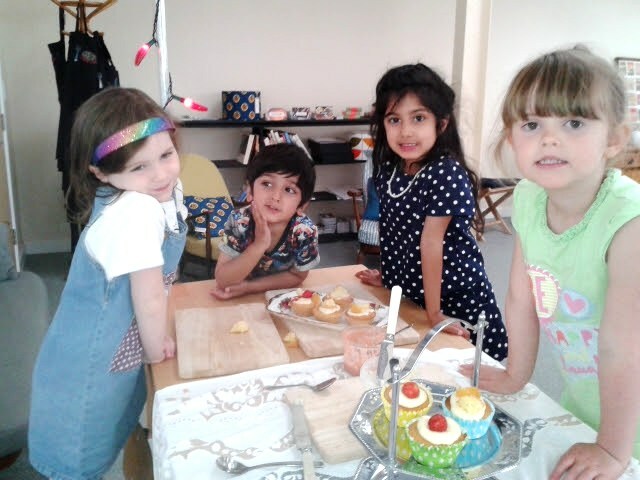 Cooking happens in real life not just in the stylised versions of life we are shown on cookery programmes where everything is perfect and clothes always stay spotless! 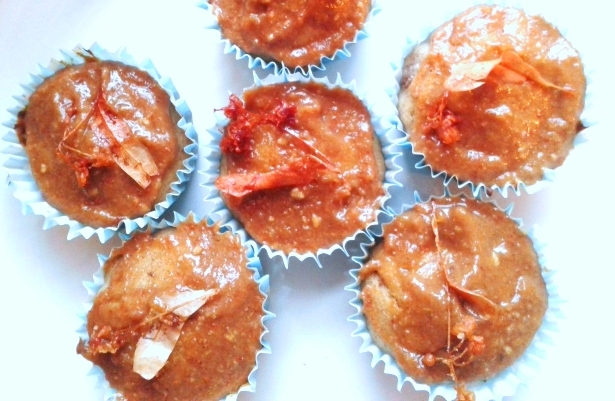 I’ve started teaching baking as I believe that everyone has the capacity to perform this magic. They just need to build up their confidence and skills. The banana bread recipe in the democratic cookbook is one I taught in my first family baking class at GetCooking! school in Leeds. 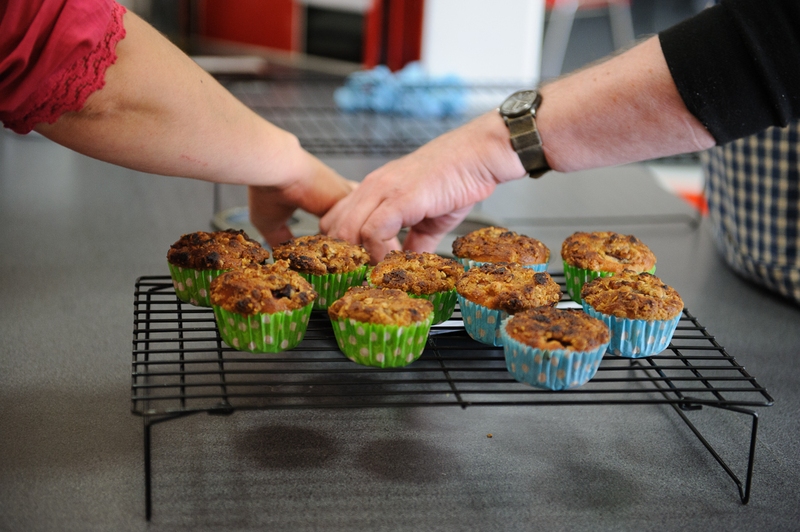 I’m doing more baking classes at GetCooking! Leeds so keep an eye on their website . 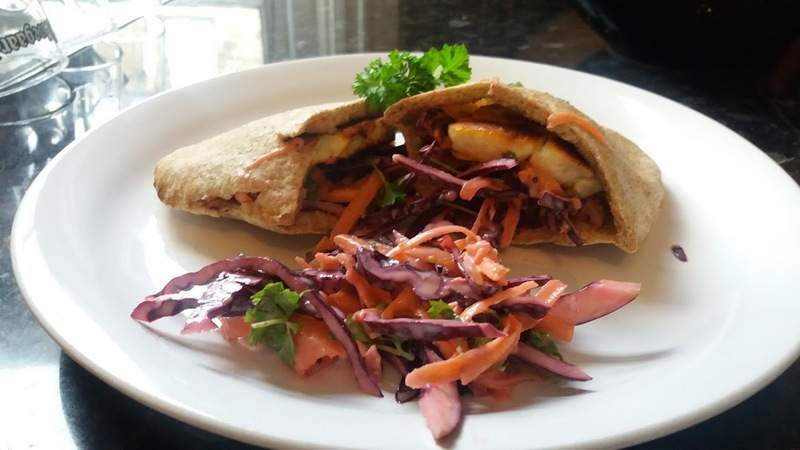 If you’d like to be one of the first to hear about my classes, receive special offers and recipes then please join my mailing list and get one of the recipes featured in my initial taster classes. Choose from Lemon Balm drizzle cake or Rhubarb & ginger sandwich cake. We run seasonal baking classes at Get Cooking, Leeds, a beautiful cookery school, in Farsley, just off the Leeds ring road. Steve from Learn to Brew UK will teach you in a hands on session how to make apple juice, cider and even cider vinegar from local apples You get to take home a demijohn of apple juice we’ll have pressed plus all the know how and equipment to transform it into 5L of cider. 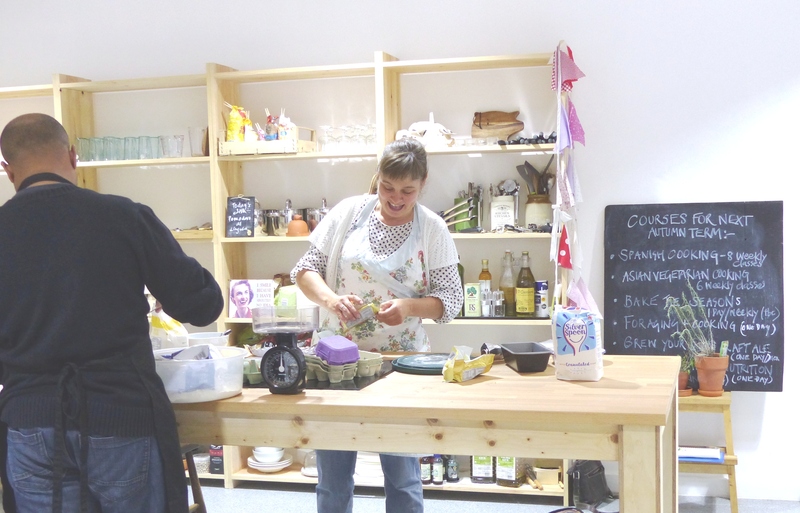 Travelling Tea Lady, Becky will show you how to make a fantastic apple tart. 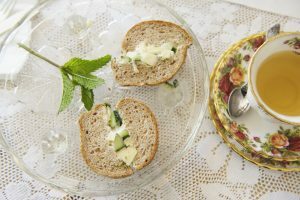 Then we’ll enjoy eating it as part of a gourmet lunch full of apple delights like cream cheese, apple & mint sandwiches, cheddar cheese with home made apple chutney and home made apple cordial. After lunch we’ll all bake a gorgeous Italian Apple cake which you take home with you. We’ll also have an apple cake and beer tasting afternoon tea before you leave. We pick our apples locally if you have an apple tree and want to use your own apples do bring them along. Becky will tell you how to best store your apples to keep them for eating & baking right through the winter.